Are you looking to start a career in knitting design? Would you like to take a peek behind the curtain in the working life of an editor of a knitting magazine? 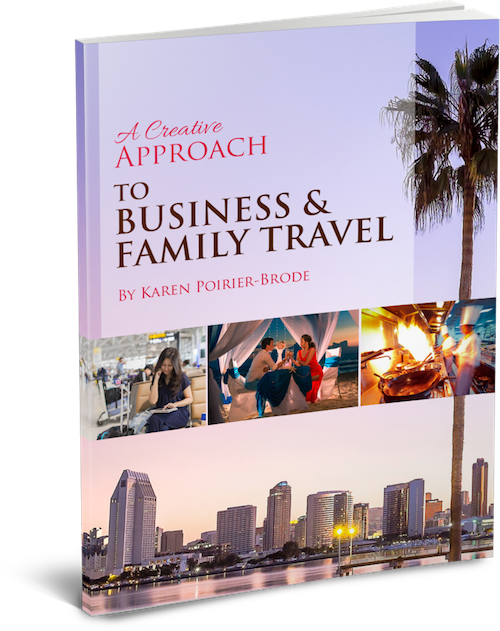 Then join Karen Poirier-Brode on this week’s episode of “A Creative Approach Podcast” as she explores the working world of dynamic and versatile Kara Gott Warner. Kara, a native New Yorker, who grew up in the suburbs of New Jersey, is the editor of Creative Knitting magazine and the host of Power Purls Podcast. She started designing knitting patterns in 2002. After training as a technical illustrator, she worked for numerous craft book publishers, such as Random House, Lark Books, Sterling Publishing and F&W. In 2008, she joined Annie’s Publishing as a knitting book editor and then in 2010, she began with Creative Knitting Magazine and Annie’s Knitting Publications. Her designs have been published widely in many magazines, including Creative Knitting, Vogue Knitting, Family Circle, Easy Knitting and Interweave. 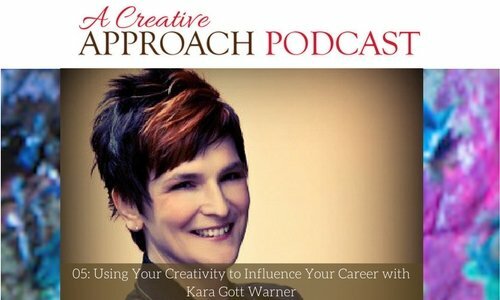 Listen to Kara talking passionately about her creative approach to her work. How Kara started her career in the fashion world. How Kara made her own way, mostly making accessories, till she rediscovered knitting. How a sweet little yarn shop awakened her passion for knitting in the early ’90’s. How a mentor gave her the idea to make a career of knitting and designing. A ball of yarn can hold exciting possibilities! Her background in technical drawing and schematics came full circle and linked into her knitting career. The fantastic power of networking! How Kara became editor of Creative Knitting Magazine. How cultivating relationships is crucial to getting ahead! What the does editor of a knitting magazine do? The many months of preparation that go into producing her magazine. Are you willing to be of service to others? Would you love to make a difference to the lives of less fortunate individuals, but aren’t sure how? 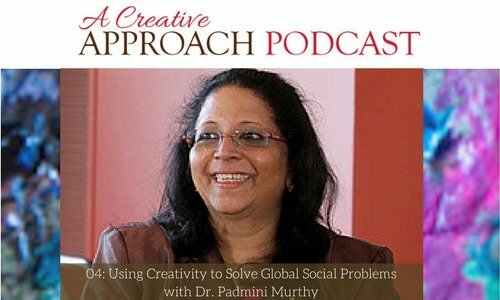 Let Dr. Padmini Murthy activate your conscience and inspire you, as she talks to Karen Poirier-Brode about her experiences while working with the poorest of the poor, on this week’s episode of “A Creative Approach Podcast”. Dr. Murthy (Mini) is a professor and the Global Health Director of New York Medical College. She has been practicing medicine and public health for the past 28 years in various countries, dealing with issues such as little, or no access to clean water or sanitary pads. She’s an author, lecturer, and teacher, who serves as the Medical Woman’s International Association’s NGO representative to the United Nations. She has received numerous awards, including the prestigious Blackwell Medal, from the American Medical Women’s Association. 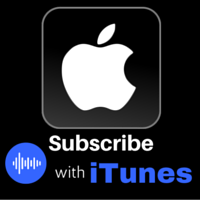 Listen to her talk passionately about her creative approach to world health, women’s health and how we can all “do a little that can amount to a lot.” . What motivated her to study medicine. How she discovered that it is possible to make a difference by making an effort and working as a team. How she introduced screening programs in Saudi Arabia. How she digressed from her medical path to go into advocacy and social justice. Mini’s current projects in Malawi. How her projects promote safe motherhood from a grassroots level. The difficulties that many rural women face. Her practical advice to anyone looking to be of service. Little things we can do to have more money to donate to where it is really needed. How social media can be used to exchange ideas for service where it really matters.